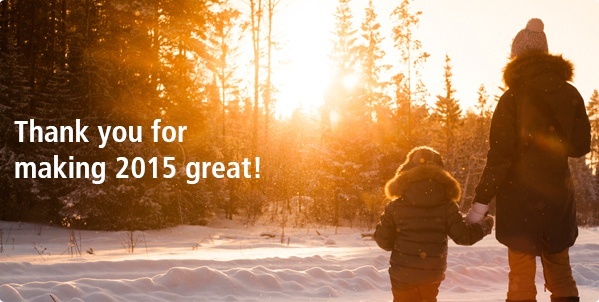 Thank you so much for making 2015 a great year for renewables. You helped Bullfrog celebrate its 10th anniversary—marking a milestone of more than 1 million tonnes of CO2 displaced through your support. This year, a number of great communities were able to launch renewable energy projects with your help. From the non-profit Hope Blooms, which is empowering Halifax youth through green energy and sustainable agriculture, to the Lubicon Lake Band, which is taking a stand against fossil fuels in Alberta—renewable energy is flourishing coast to coast. Your support has helped these projects—and so many more—become a reality. From all of us here at Bullfrog, thank you for helping to protect our beautiful country. Happy holidays, and hope you have a wonderful 2016!